43137 Newton Abbot 150 passes Bourton with the 09:45 Bristol Temple Meads to Paddington Great Western Trains service on 17 October 1998. 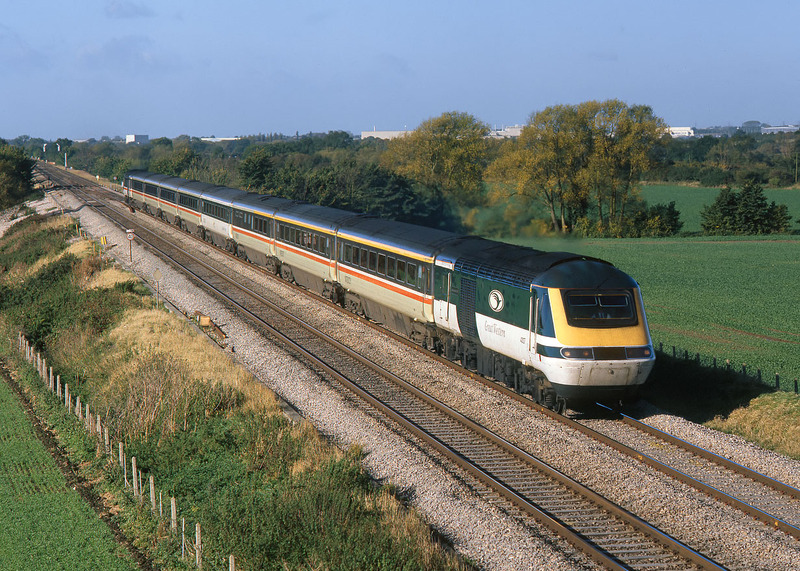 The power car and the fourth coach have been repainted into Great Western's short lived green and white livery, which gave way to the notorious 'fag packet' livery when the company was taken over by the First Group. In 1998 this view at Bourton was still free of the tall radio mast that was to later blight this viewpoint.